PRSA Capital Region NY believes in investing in the profession and the professional. For the third time, we are offering a scholarship to help members earn their Accreditation in Public Relations (APR) certification from the Universal Accreditation Board (UAB). PRSA Capital Region offers a scholarship that fully covers the cost of the APR computer-based examination, which is the only set cost for APR candidates. 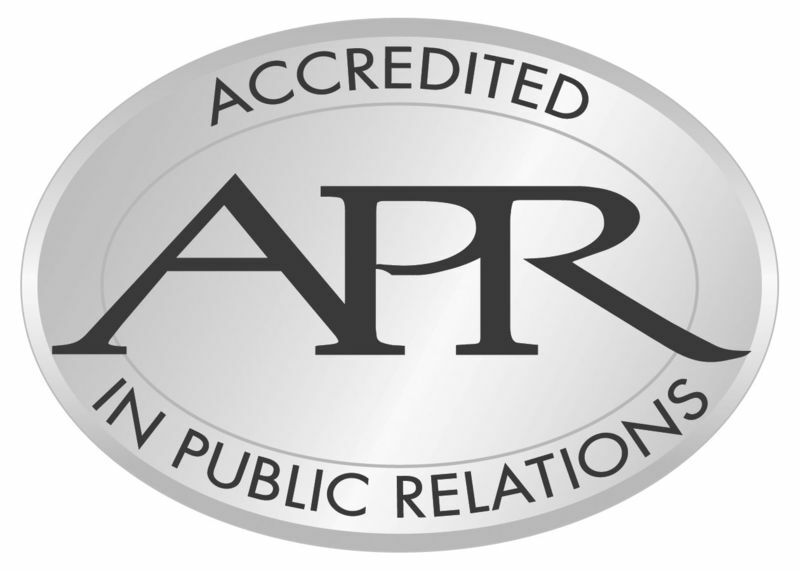 The APR Accreditation is the only professional certification program open to public relations professionals. Where your career in public relations takes you is based on individual drive, determination and diligence. One next step all seasoned practitioners should consider is earning the Accredited in Public Relations (APR) designation. Earning the APR certification proves you have successfully demonstrated competency in the knowledge, skills and abilities required to practice public relations effectively in today’s business arena. The Accreditation program is administered by the Universal Accreditation Board (UAB), a consortium of 10 leading industry organizations, including PRSA. Any PRSA member in good standing can take on the challenge of earning Accreditation. However, it is recommended that candidates have at least five years experience in the full-time practice or teaching of public relations, and who have earned either a bachelor’s degree in a communication-specific field (e.g., public relations, journalism, mass communication) or have equivalent work experience, which includes public relations principles, public relations writing, public relations campaigns, research, ethics and law and internship (practical experience under supervision). You must complete an APR Examination Application that lets the UAB gauge your full-time public relations experience. Prior to the Readiness Review, you must complete a Readiness Review Questionnaire that addresses: your organization and position in public relations; overall experience; and assessment of readiness to pass the computer-based written examination. Successfully pass a Comprehensive Examination that is administered at numerous testing centers around the nation. It’s best to begin seeking Accreditation when you can commit the time, energies and resources to completing the entire process. It varies based on the individual and the number of applicants in your area. Once your application is approved, you have one year to complete Readiness Review and take the computer-based Examination. What’s The Computer-Based Examination Process Like? The Examination for Accreditation in Public Relations is computer-based and administered at Thompson Prometric Testing Centers throughout the United States. There are Prometric centers in most major cities. You’ll have three hours and forty-five minutes to complete the Examination. This time includes a 10-15 minute optional break for candidates. A few weeks after the examination, you’ll receive notification on your results. You can experience the look and feel of the Examination through a new Online Demo, developed by the Universal Accreditation Board. All candidates are encouraged to incorporate the online demo as part of his or her preparation for the actual Examination. It only takes a few minutes and can be a valuable experience. You can reschedule the Examination at any time, providing you notify the UAB of your intent. The fee for a retake is $385. PRSA members receive a $110 rebate for retakes, too. How Long Does The APR Last? The APR designation is a lifetime accreditation. However, APRs must complete continuing education requirements every three years. How Do I Obtain Further Information About Accreditation? Further information about accreditation can be obtained by contacting the Chapter's Accreditation Chair, Kristin Legere, APR. Click to download. PRSA Capital Region NY believes in investing in the profession and the professional. We are offering a scholarship to help members earn their Accreditation in Public Relations (APR) certification from the Universal Accreditation Board (UAB). This scholarship will fully cover the cost of the APR computer-based examination, which is the only fixed cost for APR candidates. Applications must be submitted by email no later than 5:00 p.m. on Friday, July 13, 2018. The scholarship recipient will be notified by August 3, 2018. Download the application for additional requirements and instructions.